Let us take a transport our self from Germany to Great Britain today. Today’s creator is Mel, who put a totally unique twist on a very traditions Recipe. I really wonder if all you meat lovers out there would taste the difference if someone told you that the Mince Pies we are serving today are Vegan. (Vegan meaning NO product from animals.) But how can Mince Pies be Vegan? That is what we are learning today. Would you be interested in trying these? Being a Vegetarian myself I am very intrigued by this recipe, it makes the traditional meat pies so much more appealing all of a sudden. What makes Christmas special to you Mel? Christmas is a bittersweet time for us, as my husband, my son and I moved to a different country a few years ago so we don’t get to spend the time with our families. Christmas has always been special to me because of the beautiful lights and decorations, family celebrations, and loving gifts. I love decorating the Christmas tree and shopping for gifts, then on the day, watching everyone’s faces light up with excitement when they open them! Now there is just the three of us, but we Facetime with family on Christmas morning and open our gifts together virtually. It’s still a special time! These homemade Vegan Mince Pies hold the very essence of Christmas in their delicious pastry crusts. Nothing can beat one warm from the oven with a glass of mulled wine! Christmas just wouldn’t be Christmas without Vegan Mince Pies. At least to me. It’s become clear since I published my Vegan Mincemeat recipe and my Festive Mincemeat Tart that mincemeat as an ingredient, is not very widespread in North America. I hadn’t realized that it was such a British thing. 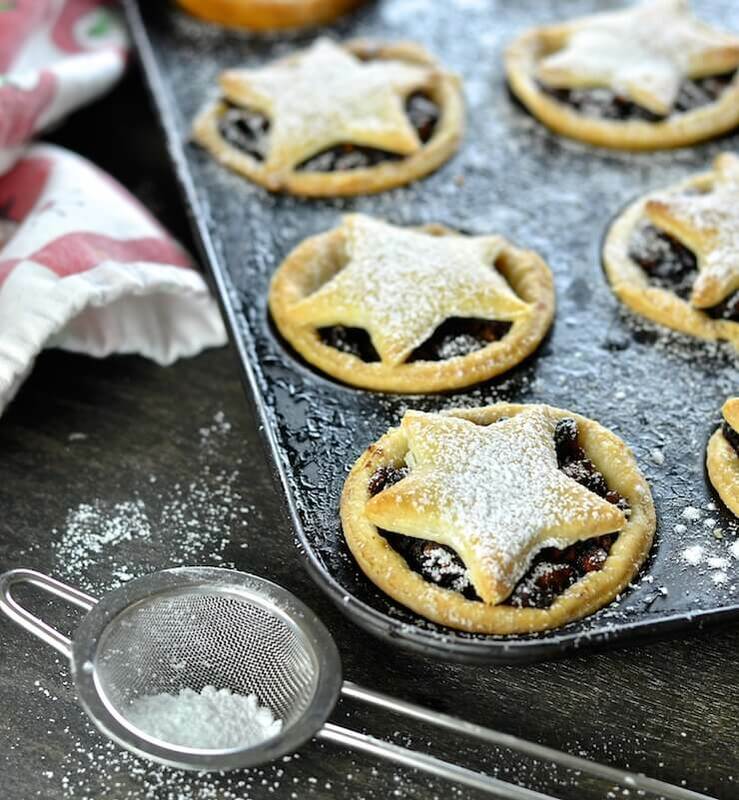 Would you consider trying these Traditional, yet with a modern twist, Vegan Mince Pies? Thank you for sharing this Inka. I had forgotten all about it so seeing it in my pingbacks was a nice surprise!